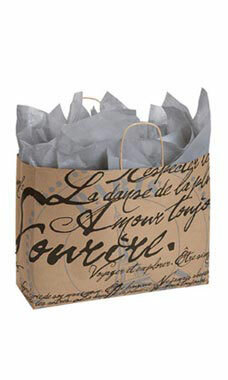 Add a touch of international flair to your store with our Paris Script Paper Shoppers! This Kraft paper bag has beautiful French script printed in bold black lettering, with the Eiffel Tower in the background. This exclusive design is available only at Store Supply Warehouse! Sold in cases of 25.